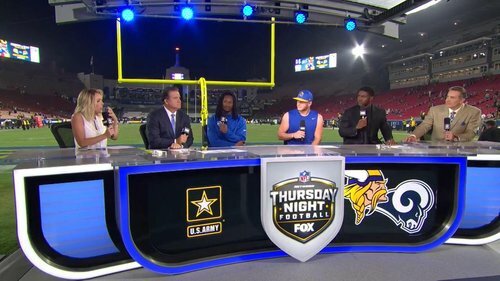 Social media updates, photos and more from the Access Vikings crew and others in and around the Los Angeles Coliseum for Thursday night's game between the Vikings and Rams.
.@tkelce joins us right now on NFL Network! 🔮 @MichaelStrahan may or may not be able to see the future. Check that! 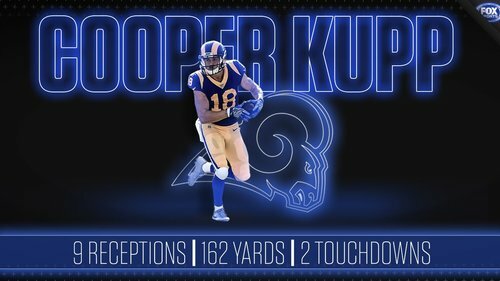 @TG3II AND @CooperKupp stops by NEXT on NFL Network!
. 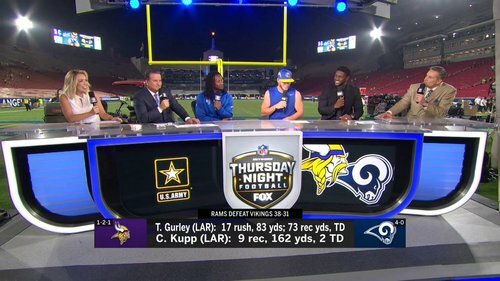 @TG3II joins us NEXT on NFL Network! 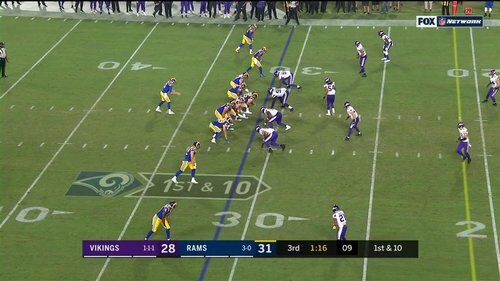 First time in Vikings history an opposing QB has posted a perfect passer rating against them while throwing more than 7 passes. 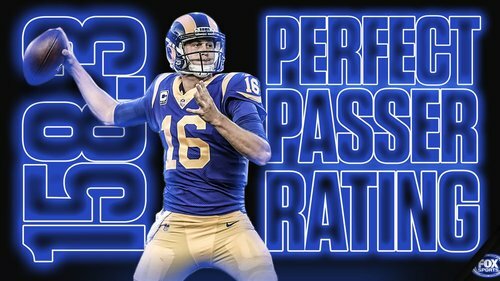 Goff has perfect passer rating of 158.3. 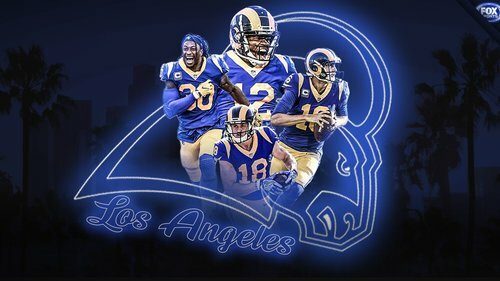 @RamsNFL remain undefeated after home win! 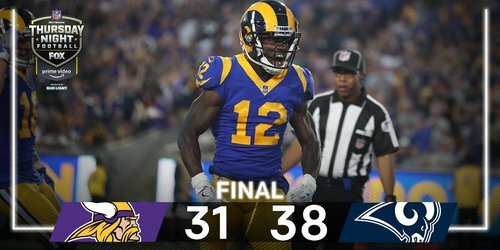 A reminder: Tweet us your postgame questions with #AVOT , and @Andrew_Krammer and I will answer them in our postgame @AccessVikings Overtime video once we're back from the locker room. Third strip sack of Cousins in two games. 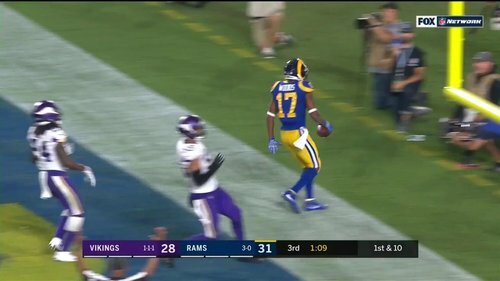 Vikings have 2 TOs with 1:18 left. 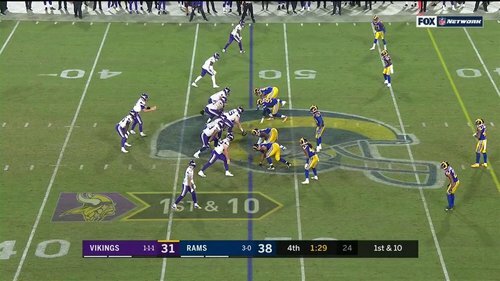 Aaron Donald blew by Tom Compton for his second sack of the game. 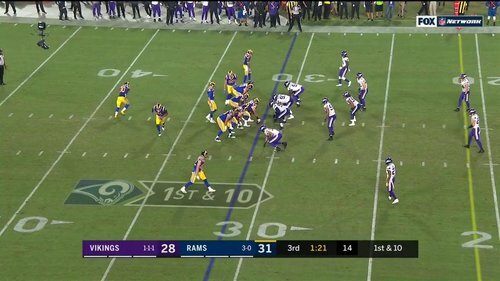 Vikings have a 2nd-and-18 with 2:00 left. Xavier Rhodes is back in the game. Vikings are down seven with 3:46 left. They'll turn to their defense, needing a stop. 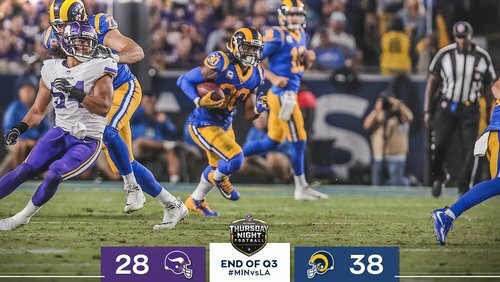 #LARams up 38-31 with 3:46 left in #MINvsLA . #Vikings trail 38-31 after Bailey's field goal. There is 3:46 left as they turn to their porous defense. 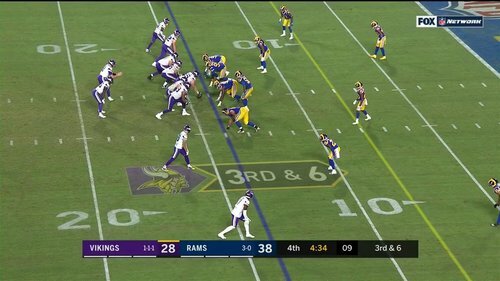 Dan Bailey connects on his 3rd FG of the night. 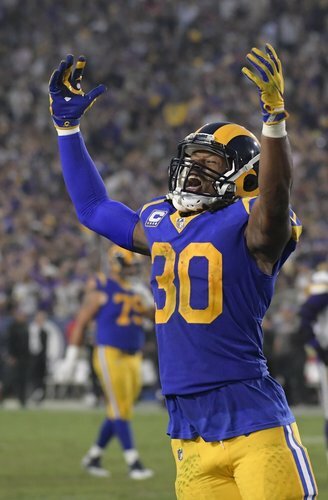 #Vikings -#Rams are 170 yards away from surpassing last year's Super Bowl as most combined yards in an NFL game. With just 4:34 left, it feels possible if Vikings can make it a game here. 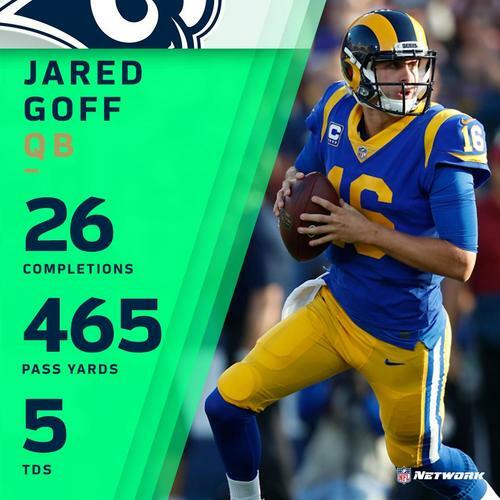 Jared Goff has already tied a record for the most TD passes against the Vikings. 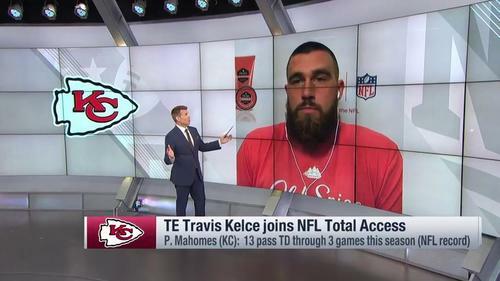 He needs 27 yards to match the record for the most yards against them. 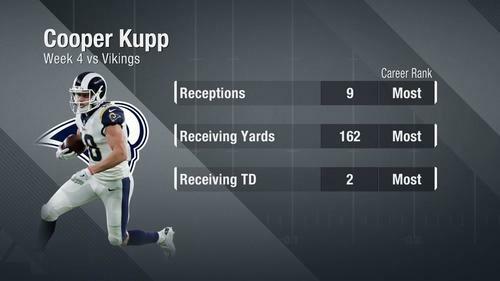 Already third-most all-time with 459, behind Doug Williams in 1980 and Drew Bledsoe in 2002. #Vikings have surrendered 538 yards, most in Zimmer era and since Dec. 2011 vs. Saints. 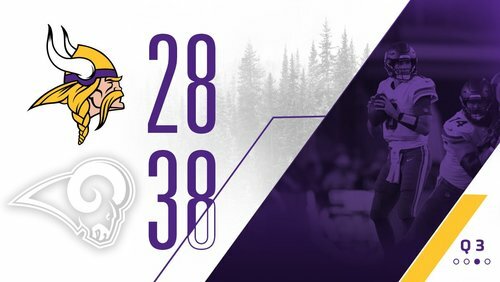 Only fifth time Vikings have allowed 500 yards since 2000. Xavier Rhodes hobbling off the field after Cooks' last catch. 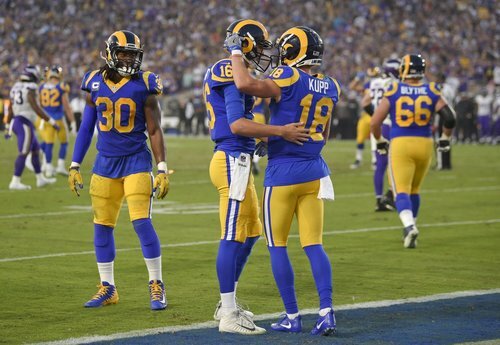 Jared Goff is the first QB to throw for five touchdowns against the Vikings since Drew Brees on Dec. 18, 2011. 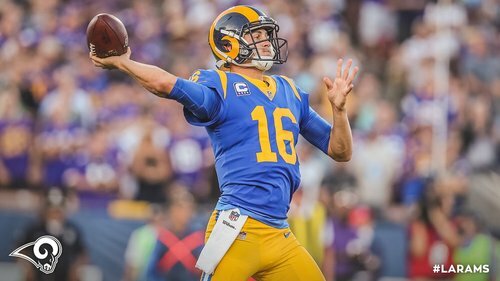 Goff is back up to a perfect 158.3 passer rating through three quarters. 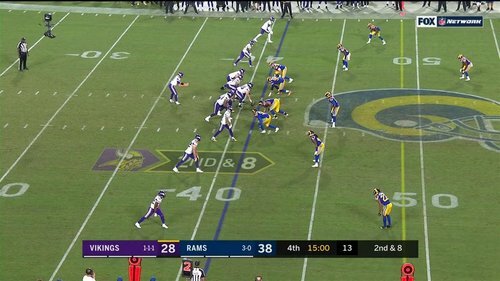 The Rams' 463 yards are the most against the #Vikings defense since Mike Zimmer's first season as coach in 2014. We've got a whole quarter left. Up by 10 with one quarter left!